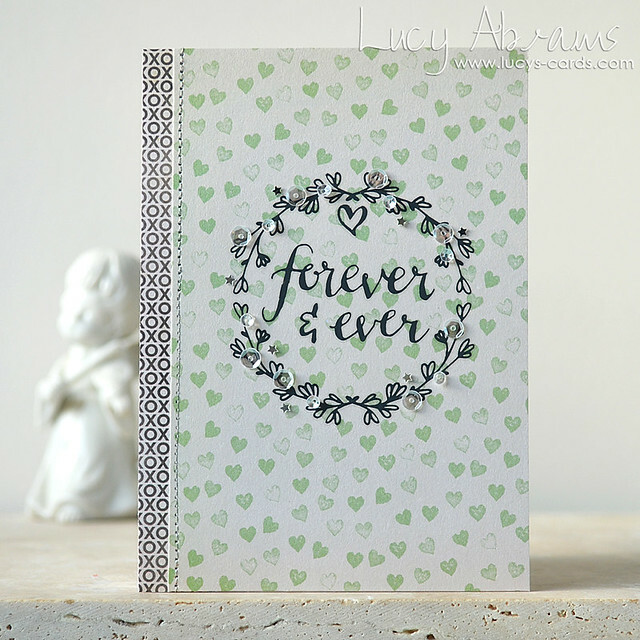 A green Valentine, how delightful!! Love that wreath!!! This is just so beautiful Lucy. I really like the colors of black, green and silver, really pretty together. Thanks for sharing it. Beautiful! I really like how you changed up Valentine theme. Great card! Love the sparkle!! Beautiful! 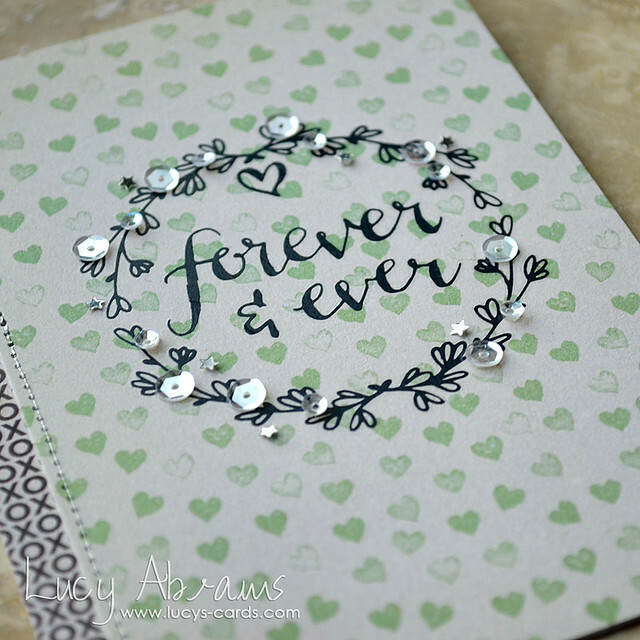 I love that you used the green hart paper here!